I have family visiting this weekend so I wasn’t sure I would have time to write a post this week but read a response to my last post and the reader joked about the response being so long it could be a post. I am going to cheat and use the response as a post this week not because it is so long but because the response was so good I thought I would just make a post out of it! What a great quote from Walt. I wish we could have spent more time at “One Man’s Dream” in the Studios. I definitely want to make time for that next time. I am constantly in conflict with myself because I treasure the Disney I remember as a kid. But I know Walt would not approve of everything staying the same. I look back and I see some attractions that I would have revamped or reworked instead of dismantling, and I see some I would have put on the chopping block before others, but as a whole I love the fact that Disney is always moving forward, always changing. It gives you an “excuse” to go back again and again. For example, I miss Horizons and wish it could have been preserved and just updated, but Mission Space seems like such a cool thing to take its place. The same can be said of Test Track. I believe it was a nice substitute for World of Motion. I love how they have been able to add to some of the classics and keep them fresh, like adding Jack Sparrow to Pirates and updates to the Haunted Mansion. Also, thanks to the Imagineers, we are able to enjoy Dumbo in a whole new way. Now it has twice as many Dumbos and a water feature with a much more comfortable queue. This will allow us all to enjoy this attraction in a fresh, new way (with a shorter wait). To get back to the initial point of “Plussing Your Vacation” I completely agree. Do your research. There’s so much to see in each park and there’s so much detail that some really cool things in the parks are overlooked by 99% of visitors. I say, do your research ahead of time, but don’t micro-plan your day. Know what you want to try to see and do, but be flexible about how and when to do it. While there has been a lot of time and money spent tracking and predicting crowds at Disney, you really never know exactly what it will be like when you get to the park that day, so be flexible. And try not to rush. Don’t stress yourself out. If you have trouble making a FASTPASS time, don’t let it ruin the rest of your day. There’s so much to see and do. Better to miss out on a classic attraction and have a nice, enjoyable day in the parks, than to run around in a frenzy trying to make sure you “do everything.” Who knows? By slowing down a little, you may miss out on Peter Pan, but instead you may run across something that no one else does. The Imagineers put so much into the entire park, it’s a shame we overlook so much of their attention to detail. For example, I listened to a podcast recently where they talked about the Pecos Bill restaurant alone for like 45 minutes. I had no idea how much story there was on the walls. I highly recommend listening to some podcasts or reading some blogs and forums before going. You can find everything from tips to planning your trip, to things to look for while you are in the parks. My favorite is the WDW Radio Show. There are so many things I’ve heard about on there, and now I can’t wait to go back and explore more. I want to notice the details I’ve overlooked for years and spot some of these things that most people miss. Before you go on your next trip, ask yourself, “What is my goal for this trip? What do I want my family to get out of it?” Would you answer, “I want to ride every ride.” I certainly hope not. Walt Disney World is not about rides. It’s about an experience. A magical experience. So next time you go, decide to make it your goal to have a “magical experience.” THAT is what would have made Walt happy. This entry was posted in Trip Planning and tagged travel, vacation, Walt Disney World. Bookmark the permalink. I’m so honored you felt my comment worthy of posting! What can I say- you inspire me! 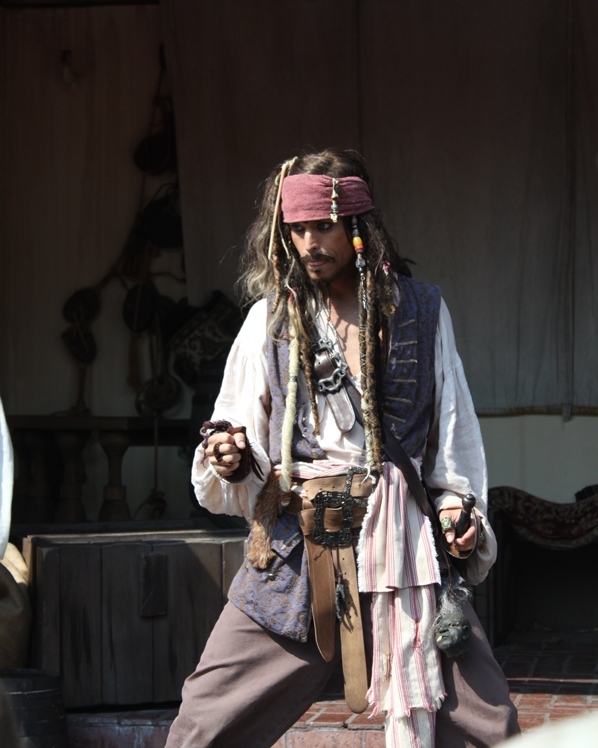 I love the fact that Disney tries to keep it fresh but it is very hard to please everyone. Some rides people wanted to keep have gone away, such as 20000 Leagues Under The Sea and some that need to go away or at least some serious work stick around. Two I was glad to see go were Snow White’s Scary Adventure and both the incarnations of Narnia at Hollywood Studios.. While I personally liked Snow White’s Scary Adventure, I don’t resent Disney at all for removing it. The technology was rather primitive and the story isn’t the most popular Disney tale to begin with. I think the biggest reason I liked it was because it was one of the original attractions at Disney World ad I like to think about how awesome it must have been back when the park forst opened. But when you hold it up to more current rides in the park, it just doesn’t stand the test of time as well as others, Small World and Peter Pan, for example. I am looking forward to seeing what the new Seven Dwarfs mine ride will be like, but I’m sad it won’t be open yet on our next trip. I also liked 20,000 Leagues Under the Sea. It is amazing to me that they were able to run the submarines and all the animatronics under water. It’s no wonder they removed it! It must have been a maintenance nightmare! But so cool! I did always feel it was a little out of place in a Fantasyland filled with Fairy Tale themed attractions, but still “technically” a fantasy. Also, apparently my feelings about Lights, Motors, Action are not widespread. I’ve heard rumors that it’s not doing well and that it and the Backlot tour might be replaced by a Cars Land, like in California. 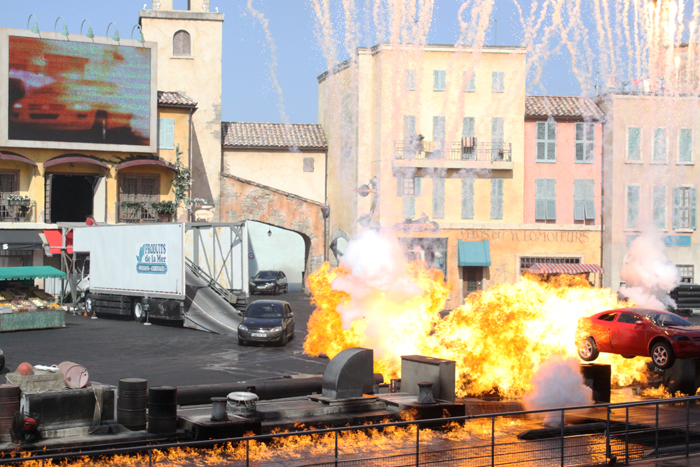 I think this would be a great addition, given the apparent lack of success of the stunt show and the fading interest in the (much reduced) Backlot tour. I think Cars are here to stay (especially as cars, themselves are a timeless interest of men and boys everywhere). I think this would be a great addition to DHS, a park that, in my mind, is in desperate need of some attractions for younger kids. I completely agree, especially about the Lights, Motors, Action. I did enjoy it but it is one of those that after I see it once, I may try and see it again but it definitely is not a “must do” every trip like Indiana Jones Stunt Spectacular (but maybe that is just because I am a big fan of Indian Jones). I would rather see Disney put the money it takes to keep LMA running into something else. I am a huge proponent for Cars Land at Disney’s Hollywood Studios after see how amazing Cars Land turned out in Disney Land. With the popularity of they movie, I think it would be a great, long-lasting addition to DHS to help revitalize its reputation. Disney’s Hollywood Studios has always been my favorite park but most Disney fans do not share my opinion. The Nostalgic part of me would hate to see the Back Lot Tour go but it would be a great trade for Cars Land I know. I have also read a few rumors about potential changes to by beloved park most of which I am a fan of and some of which I do not think are true. Maybe I will cover some of these rumors later. Hmmm…DHS is definitely not my favorite park. Don’t get me wrong. It’s great, just not my favorite. I think it has great theming and is much less walking and shorter waits. You can almost always walk right into a show. 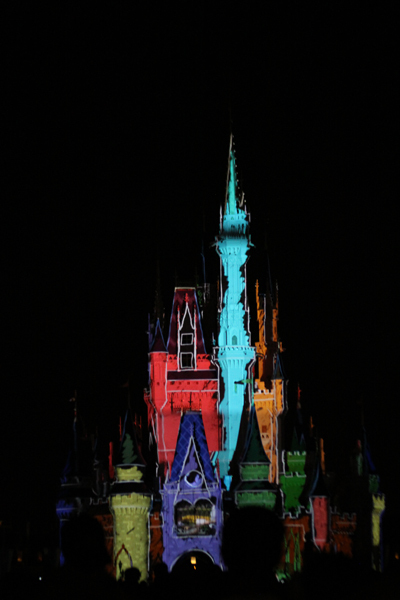 However, as a mother of 2 now, I’m trying to envision a day at DHS with the kids in a park with so many shows. I get that it is movie themed, I can only think of 3 rides my toddlers will be able to ride there (Toy Story Mania, The Great Movie Ride, and Catastrophe Canyon [I refuse to call it the Backlot Tour anymore, as there’s no backlot.). 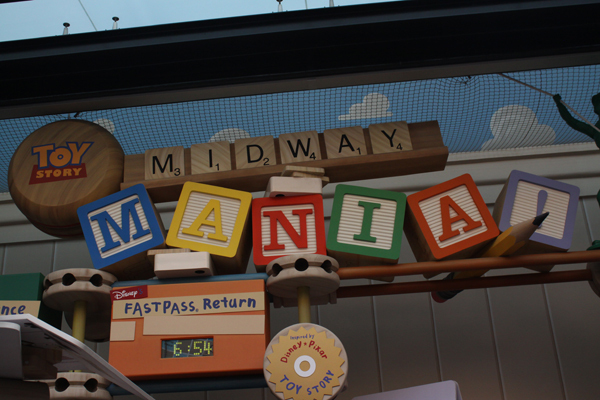 Why do you think the wait times for Toy Story Mania are so long?? And the fastpasses are gone before noon! They might also be interested in a few of the shows, but out of 9, how many can we really expect to hit with the toddlers? There’s just not a lot of variety of things to do. I would love to see Cars Land come and maybe some more movie themed play areas or rides. I think I would like it more if I didn’t have kids with me. It would be anice walking break in the middle of my week-long vacation. Even EPCOT has 7 rides they can ride, not to mention other attractions that will hold their interest like Turtle Talk with Crush, ImageWorks, Jumping Fountains, Glowing Sidewalks and Innoventions. While Animal Kingdom doesn’t have a ton of rides for little ones, something about the animals and atmosphere, just keeps kids’ interest better. Don’t forget the Honey I Shrunk the Kids playground….being devil’s advocate here.